The City of Claremont, which has embraced numerous environmental standards and practices in recent years, is the first California Green Community to receive the “Silver” award for its achievements in sustainability. Claremont is one of only four cities to be honored by the California Green Communities program for its efforts. Actress Amy Smart, a leader in young Hollywood environmental circles, presented the award to Mayor Sam Pedroza and members of the City Council at a recent State of the City luncheon. “Claremont, we salute you as a city that both talks and walks a green, sustainable lifestyle! You are an invaluable role model for other cities,” Ms. Smart said in her congratulatory remarks. Joining her in the presentation were representatives from California Green Communities’ founding partners — the Environmental Media Association (EMA), Southern California Edison (SCE) and Green Seal. To reach the Silver level, Claremont committed considerable resources to a broad variety of sustainability-related projects and programs. Efforts included: making energy efficiency and water conservation improvements to city facilities, converting its fleet to cleaner fuels, encouraging bicycling and walking through education and new construction, and encouraging water wise landscaping and local gardening efforts. One of the City’s more innovative programs is a homeowner assistance program designed to encourage home energy retrofits. Nicknamed CHERP (Claremont Home Energy Retrofit Project), the program helps homeowners upgrade older homes with energy-saving measures such as insulation, HVAC optimization, lighting upgrades and even solar panels. In conjunction with the program, the City is retrofitting many of its own facilities and recently installed solar panels at its City Yard. In addition to Claremont, the cities of Monrovia, Riverside and Santa Clarita have reached California Green Community Silver status. Other cities participating in the program – Culver City, Los Angeles, Redlands, San Gabriel, Santa Monica, Simi Valley and Ventura – are making progress in the program as well. 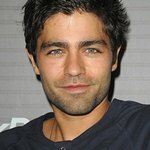 More cities in Southern California are expected to join the program in 2012. To participate in the California Green Communities program, cities develop unique action plans to identify environmentally sound practices and projects they will adopt and implement involving energy efficiency, waste reduction, water conservation, renewable and alternative fuels, efficient transportation and so forth. At various completion points, they reach Silver, Gold and Platinum status in the program. City action plans can be viewed at www.CaGreenCom.org. Numerous companies and organizations, such as Toyota, Alliance for Climate Education, Clean Environment Company, e-Recycling of California, The Energy Coalition, Kellogg Garden Products, Lifecycle Global and the Los Angeles Conservation Corps have joined SCE as California Green Communities partners to support participating cities. Southern California Edison provides advanced incentives for energy efficiency measures to cities – including Claremont – that participate in SCE’s Energy Leader Partnership program. 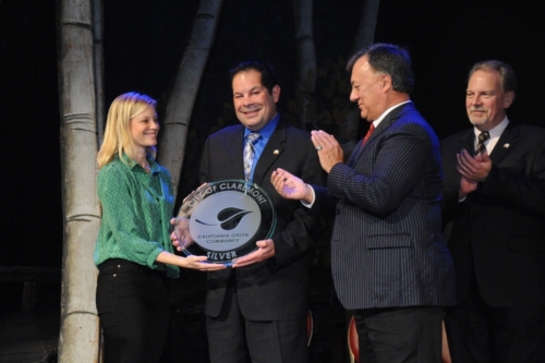 Earlier this year, Amy Smart honored Riverside as a Green Community.